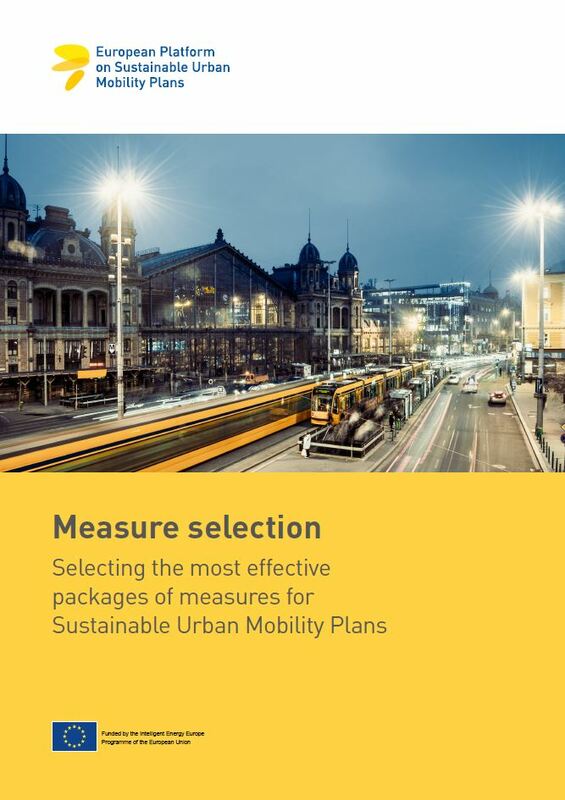 The Measure Selection Kit provides guidance on identifying the most appropriate packages of measures to meet a city’s policy objectives. It explores the current understanding of measure selection in transport planning and its challenges, and suggests practical approaches to tackling them. Online learning course: an interactive e-learning course inviting interested mobility practitioners to learn more about measure selection at their own pace and from anywhere in the world. The e-learning course can be taken at the Mobility Academy. The Measure Selection Kit has been developed in the CH4LLENGE project, which is co-funded by the European Commission’s Intelligent Energy Europe Programme and has the overall aim to facilitate the take-up of SUMPs throughout Europe. To download the materials, see below. For more information on the CH4LLENGE project, visit sump-challenges.eu.